Totally frustrated with me at my inability to help him, Lucas, my youngest son, turned and ran again, holding high his new kite on a short leash, trying in vain to catch a breeze. â€œYou need better wind,â€ I told him as he made another pass with kite flying inches over his head. Wind related activity like pulling kites on strings, hoisting sails, building windmills, all come after the wind not before it. The Christ following movement is a wind related activity. The reason churches fail to fly is that they forget that wind comes first. Here’s my claim: Mission exists because God is on mission. Yes, love motivates the missionary activity of God, but we wouldnâ€™t know this if it did not compel the missionary action of God. Love has primacy but mission has priority. Why do the winds of mission blow? Because God loves a world that is in deep trouble. This is a description of both God and the world we live in. We live in a world that when seen through Godâ€™s eyes motivates mission. In other words, the missionary activity of God tells us the world is broken. In a broken world, mission comes first. Mission is the evidence of love. The only God that can be known is the God who is on mission. There are no alternatives to Him only bland substitutes. The images of the God of nurture and therapy so dear to the heart of the American church, the sovereign God of the reformation in whose arms the elect are all safe, the creator God of neo-orthodoxy in whose home all men are brothers, must all submit to the God who has revealed himself as the God on Mission. God may be all, some or none of the others â€“ nurturer, sovereign, father â€“ but, whatever more he is, we come to know it in the aftermath of knowing Him as a missionary God. To create a small group, build a church building, write a credo, train a choir, rehearse a band without knowing the God on mission, is like trying to fly a kite on a windless day, hoisting a sail or building a windmill without knowledge of the wind. We try to prove the wind by the kite. But the wind will prove itself. And the kite will make sense in light of the wind not vice versa. Trivia: What do these digits mean? Now the earth was formless and empty, with darkness covering the surface of the deep, and the Wind of God was hovering over the waters. … the LORD God formed man from the ground, breathed into his nostrils the wind of life, and man became a living being. The wind will carry you farther than you could ever go on your own. It really depends on our position relative to the wind…are we in an optimal place to catch the best gusts, or do we seek a windbreak of trees when we’re not sure where the wind is blowing? this is the best place to connect and dialogue before you get to Origins. Glad you’re here. The $99.00 is for students 28 years old and under. I don’t know if you or anyone on your team matches that criteria. On the housing…we may be able to put you in the student housing. If you choose to register, let me know and we can put you on the list. Email me at alex@mosaic.org if you want to follow up. Put UNCC in the subject line. Growing up on the plains of Missouri I developed a love for the wind. Even when older, the places I lived I loved sitting and feeling and enjoying the way the wind moved around me. That’s part of my fondness for the ocean too. The interesting thing about sailing is that when you’ve harnessed the wind and are moving with it, you don’t notice it as much — not like when standing still on the shore. But you know, by sight, sound and feeling that its still there — plus you’re moving! I find that people either like the wind, like me; or they don’t. Those others feel it messes them up, is a nuisance, causes irritation…curious that we sometimes think about God in the same way. This is so true in my life right now. This is so pivotal. So glorious – to know and be enpowered by the wind. Thank you for some fresk air to remind me of the mission. I love this thought of the wind/breath/Spirit of God moving us wherever He will. In setting the sail to catch the wind, there is so much power. Power to move, to fly, to inspire… power to matter. Life will only make sense in Light of the Wind. I am struck by the idea of all our other images about God “submitting” to the missionary God. Submitting? Are you serious? I had to go back and read that several times just to let it sink in. I understood it immediately, I knew it was true, but I needed to swim in that for a bit. My operating system has has been trained to run on a corrupted version. Just like some of the quirks and bugs in my laptop, I often just accepted as normal something less than the God on mission. I feel like I have been dragging that kite on a short string, hoping it would just lift off. More wind… I need more wind! In 1973 I was offered the opportunity to become a “kite.” I didn’t like the way kites looked or dressed. I didn’t see much use in becomming a kite. I didn’t like or understand most of the songs kites sang. But I was assured that God wanted me to become one… and that if I didn’t become one I’d spend eternity in Hell… so… I became a kite. But I never flew! It was the most boring existance imaginable! I thought it would have been something more, especially since this was the ONE THING God wanted from me. Then when I gave in and agreed to wear the funny clothes and say the right words and meet in the right places at the right times I was completely let down! I “tried” to do the right things and feel the right things because I thought I was the one who was doing something wrong (not reading or praying or ____________ enough), and if I’d do it right I’d find what I was missing. All I felt was tired and empty and hollow and let down. In 1976, the Wind of this missionary God blew through my life and I discovered what it meant to be a real kite! Now I know “there is no ‘try.’ ” And I don’t have to play dress up on Sunday. I’m not some trophy kite God wants to exhibit in a stained glass kite warehouse. I get to sail in His Wind so that other kites will discover what they were created to be! I also know it takes more than making a decision. It takes the Wind. so, i have this idea……i notice these mosaic church plants all around the u.s. and abroad…my question is who decides where to plant a church and when…..i had this of a place that could be a good place to plant one….it’s a college town that has several local churches, but none that are really embracing those in the city that “dont belong” in churches….it’s a very diverse town…lots of writers and artists…..
tiffany, do tell. where might this town be? 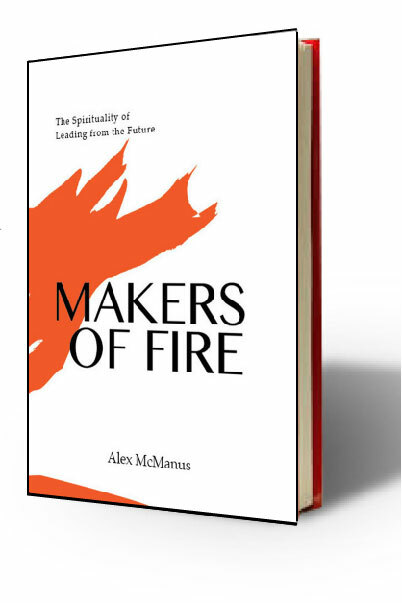 hundreds of “makers of fire” are leaning to the edges of their seat waiting for your answer. Ok, this is cool..tiffany, you live in columbia! i grew up in hamilton, and my sister graduated from good ole’ mizzou (she now lives in springfield)! my little brother graduated from warrensburg….columbia is PRIME for a mosiac! Tiffany, how far is that from Truman State? alex, it’s about 93 miles, a smidge under 2 hours, according to mapquest. i think gene says he can make it in 1.6-1.75 hours. My wife and I have recently agreed to be the planters for a church start 2 hours north of Truman St. Actually agreed isn’t the right word – begged to be sent out might be more accurate. We are looking foward to the Origins. I am curious as to what is happening just south of where we will be at Truman St. Looking for a mosiac network out here in the middle land. Hey, my wife and I are looking for a place to plant a church! Can I get some details on this local? How big is the city? Is it a place for a big impact on the future of our world? Does anybody else know of some strategic American cities that need what people like us do? Looking forward to meeting y’all in LA… oh ya! I’ve never known anyone who loves the wind more than my wife, Jeanine. And when I say wind, I don’t mean a little breeze. Jeanine loves to feel the kind of wind that most people would run indoors to escape. Last year on our vacation off of the coast of Georgia, a hurricane was moving up the Gulf Coast. Although we weren’t in the path of the storm, we were certainly in the path of a lot of the wind it spun off. Jeanine was like a kid in a candy store that afternoon as we spent a long time on the pier that sits at the end of the village on St. Simon’s Island. I realized something about her love for wind that day. She loves the wind because of where it takes her. You can see it on her face. And you can tell that being in the wind takes her several places, all of them good. When you describe all the things that happen in a “normal” church setting (build buildings, lead small groups, etc. ), it seems that we think those things will capture the wind. And isn’t that part of the problem? We look at the wind as something to be captured, as oppossed to something that will sweep us up and carry us where we haven’t yet been and can’t go on our own. Maybe being on mission with God is nothing more than living in a perpetual state of surprise over where the wind has taken us today.